Boys and girls, come, all must draw near. A wonderful tale you need to hear. 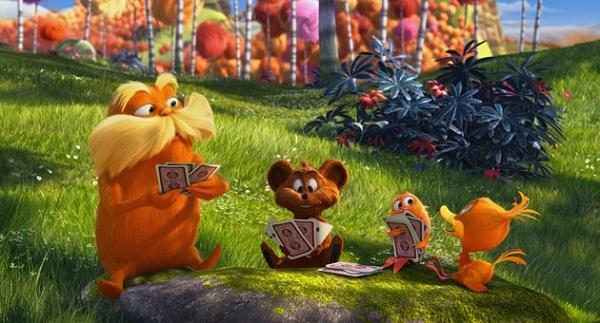 To learn all you want about The Lorax. Tells two stories much like any other. The other -a message of saving…and changing the world. A visual feast enjoyable to all. To watch both stories unfold you will have a ball. From so much laughter impossible to hide. It can, at times, be a bit much. We hope for both heroes to then earn their prize. From previous mistakes after lost intervention. 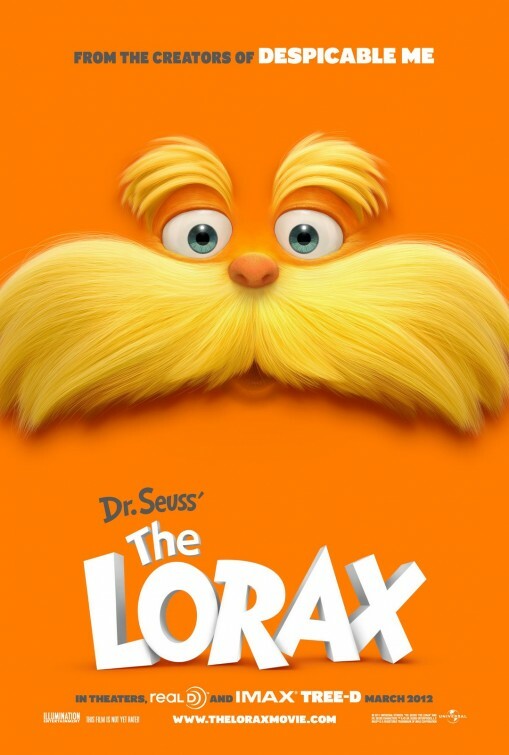 Are the animals, the Lorax, and a teen (or a “tween”). The picture these creatures have thus entered in. Tho, what’s the big fuss? To see it’s a must. 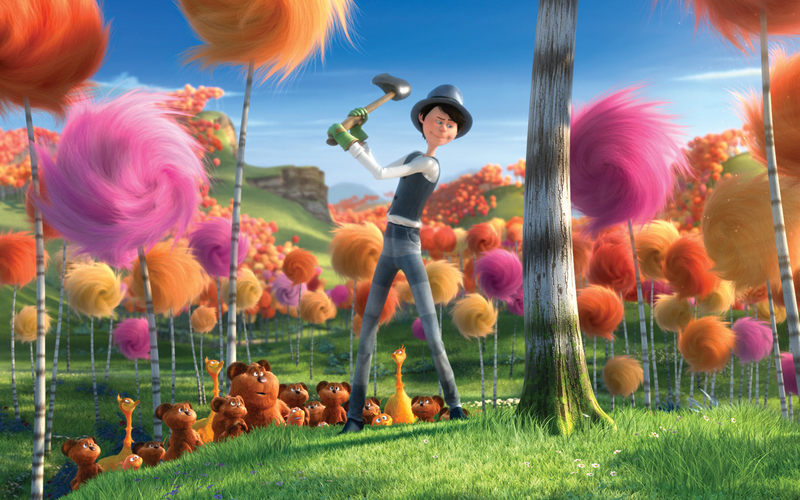 The Lorax…you just have to see it…or bust! You’ll like it whether you’re 87 or 3. Check it out, the trees there are much more pretty. From beginning to end you will not be bored. Next Movie News Monday for March 5, 2012! I agree. I know you and I were both leading the parade prior to release, and unfortunately I wasn’t able to A++ it either. But it was still really good, and highly recommendable! It turns out more fun for the readers, it’s true! 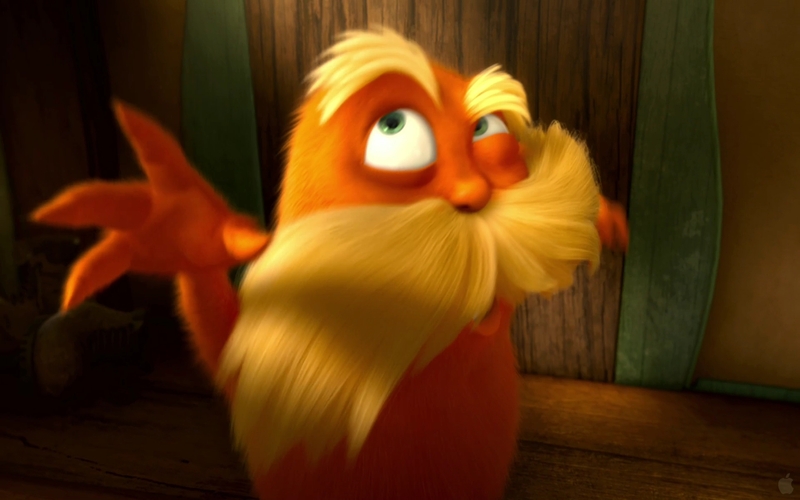 Who turned out to be a great Lorax Biographer! Hey! Thanks man! What a great rhyme! 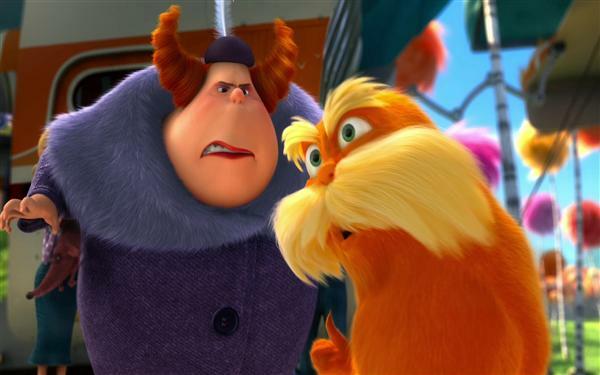 a “Lorax Biographer!” Love it man. A fun film to enjoy. Yes, I wanted to give it a 5, but could not. Glad you enjoyed it too. and thanks for resharing it. Always appreciate the love from the Fogs! always appreciated Courtney. Thank you. 🙂 its all good. Thank u for the kind words! I enjoyed writing this! Impressive effort, man. Very fun to read, and I’m in agreement with you about the film. I am glad that you enjoyed the review. Kind words. Thanks. Haha! I love it! Very impressive, best friend! 🙂 Why thank you very much Best Friend! Glad you enjoyed it so. ah! well, first of all…thank you very much sir. secondly, it now makes sense for the random tweet of “Zac Efron.” I was trying to understand that and had completely forgotten the question I had posed to you. haha. I will be getting around to reading your pitch I assure you. I am finishing up mine and can’t wait to share it as well. Thanks for the heads up man. Glad u enjoyed the review. Yes there is a minion hidden! Time for some hide and seek! I love this review, T. You showed your love for Dr. Seuss in this one. I have to share it. I wanted to see this over weekend, but things came up. Maybe later this week. Hey. Thanks so much Max. I look forward to your thoughts. Thanks for sharing and commenting! I love it! Fancy way of delivering a review Terrence 😀 Doubt I will watch this though, seems like a kids movie and that’s what I hate about most US animations. Thanks for the compliment, Castor. Btw, did you watch Arrietty? Very creative & fun, thanks! Can’t wait to see it! Thank you very much. I can’t wait for you to see it too! Great review, man! Awesome stuff. Can’t wait to see this film! Rodney, thanks man. I hope you enjoy it. I was looking forward to this one so much! I don’t know if I’m going to check this movie. But perhaps I’ll buy the dvd later for my nephew/niece 🙂 Unique write-up. Thanks for sharing! What a nice gift to give. Thanks for commenting! Creative review T! Fun to read. Looking forward to seeing this movie with the kids, I’m sure they will love it. Haha. Thanks Scott. Kind words. Hope you and the fam greatly enjoy and share fun laughs. I know my girls will love this film when it comes this side of the pond. With brown and green face paint and enjoy ‘Act of Valor’! Fun review, T! Very nicely done! Eric. Thanks sir. 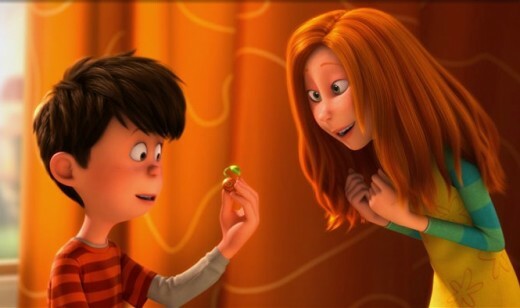 Will you be watching The Lorax anytime soon? I’m not sure I’ll see this but it does sound like great fun. Thanks so much Claire. It was so fun to write up. I finally went and saw a movie, Terrence (the first one since I saw Country Strong with you lol) and I had to run back to my computer and see what you had said about it. 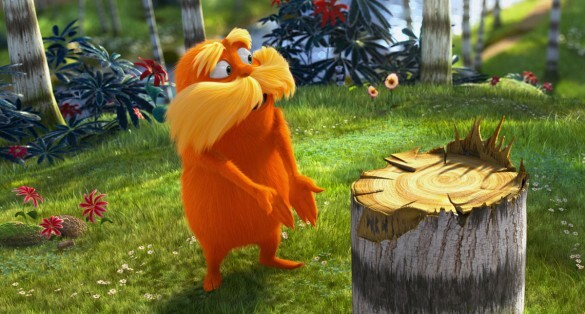 I honestly went in to the Lorax thinking I wouldn’t like it because the book was sacred to my childhood. I know a lot was changed in the translation, but I don’t think it destroyed the heart of the story. The whole environment/political message wasn’t as bad as it could have been, but I think WALL-E incorporated it better within the story. 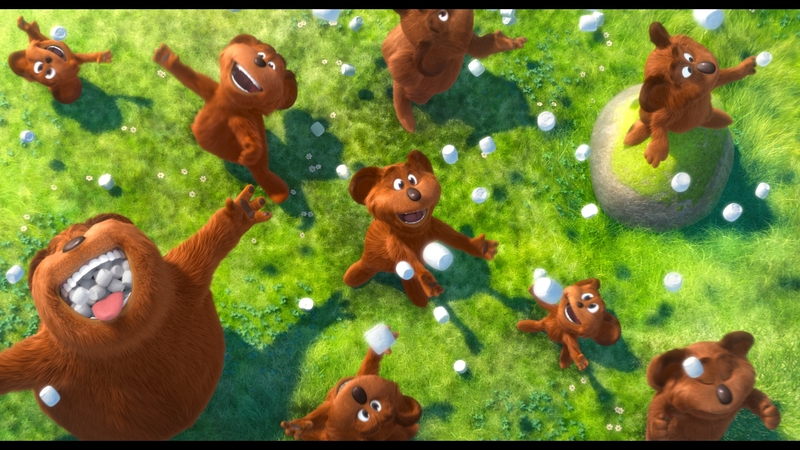 I wish more of the story had been about the animals and Ted, instead of the Once-ler. Overall, it was a good movie and I agree with your rating. I enjoyed the poem review as well. Sarah! so awesome to read your comment this morning! Thanks for stopping in. 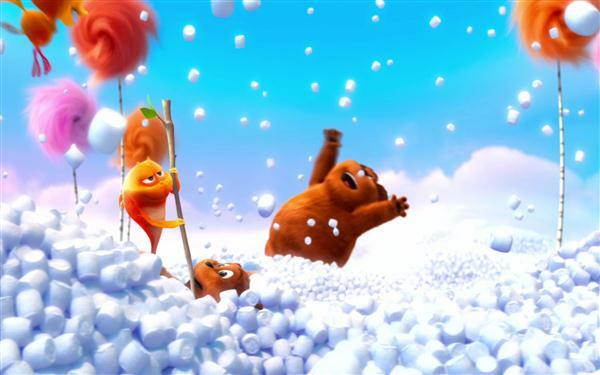 Glad you enjoyed The Lorax. I think your thoughts on the message in relation to Wall-E’s way of doing so is pretty spot on. I wanted to see more of the animals myself too. Thanks for taking the time to read the review. It was fun to write. Didn’t realize you had a page on WordPress. Glad to see it. I will be adding it to my blogroll! You’re not a bad friend, I’m just a bad movie-goer 🙂 The WordPress blog is new and we’ll see how long it lasts. I’m committed to the purpose, but we’ll see how faithful I am when it comes to writing about my adventure. See you around. I’m always late to a party and boy what a bash! Loved the poem review! Too bad it wasn’t out of this world but great as compared to excellent is still good. hehe, Cheers! Thank you for your kind compliments on my review my friend.